As per Tatyana I wanted to update those of you following this story on little Sonya. On June 20th, Sonya was taken to a children’s hospital in Dnepropetrovsk with another life threatening bleed from the varices in her esophogas. A few days later Tatyana updated me again to say that Sonya was still critical and of course very weak. Lastly on the 29th I received much better news that Sonya was better, still very weak, but that her Hb was low. On a more positive note overall is that they have most of the funds in place now to make the long journey to the US for treatment, but will need to recover enough to survive the long trip. Tatyana is to apply for visa this week, and hopefully will receive a visa without any problems. She is hoping to be in Chicago at the clinic in the middle of July? It’s been a little over a month since the last update, and still we play the waiting game for Sonya. They have been back home in the Ukraine for a few week’s now, and have only recently received word from Children’s Memorial Hospital in Chicago as to what to expect regarding a possible Rex Shunt for Sonya. Dr. Superina had reviewed the results from the tests in Germany, and he is of the strong opinion that a Rex Shunt is still the best option for Sonya – contrary to what doctors in Germany told Tatyana. Doctor’s in Germany recommended an arterial embolization on Sonya, of which both Tatyana and apparently Dr. Superina did not favor. (Up to this point I was not familiar with this procedure and after a thorough search I was able to locate the link above which I thought explains the procedure in the easiest terms). Not only were the expectations regarding the procedure outlined in the letter, but the costs were also highlighted. A recommendation was made by Dr. Superina that Tatyana consider applying for a 5 year visa to the US, as Sonya would need subsequent follow-up visits for awhile after an operation of this kind. As you can imagine the costs for a procedure of this nature is very high, and considering the costs to travel from the Ukraine to the US it adds even further depth to those costs. 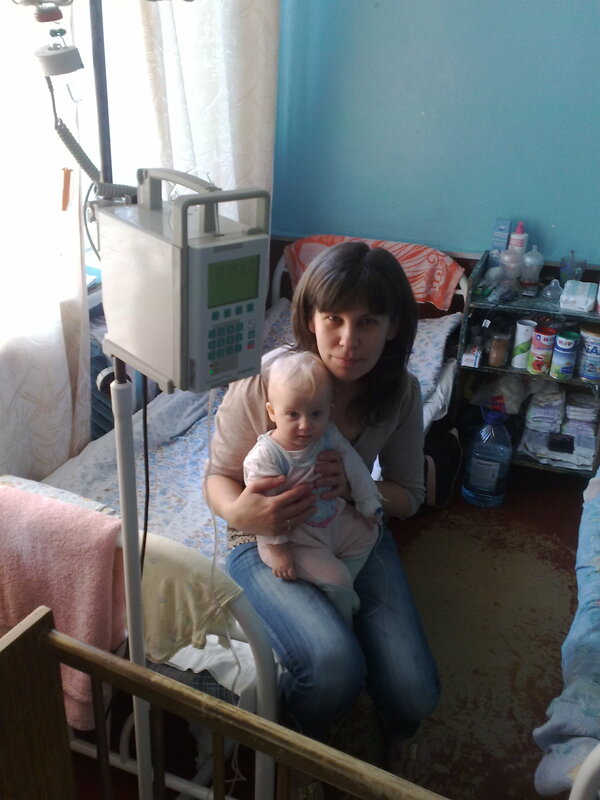 Despite this Tatyana is not deterred in her mission to get the help she needs for little Sonya. 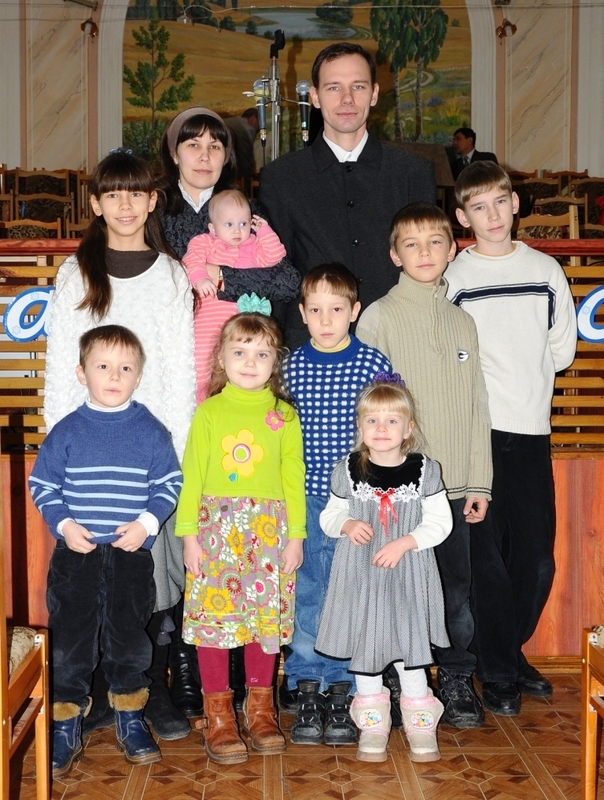 Financially this is a HUGE undertaking and after learning of the costs via Tatyana last week, my heart sank for them. My natural response to any huge hurdle in life is to think the worst, but after mulling this over in my mind, I return to the faith I have in God who I believe is much bigger than all of this. To that end, I continue to uphold this little girl and her family in my prayers. For those of you who are also praying and thinking of them, I thank you for your faithfulness. Lastly I want to personally thank those who have offered to help Tatyana in practical ways, if she ever was to go to the US with Sonya for a operation of this sort. I’ll keep you updated on any new developments. Thanks to all of you for caring! Faith is like radar that sees through the fog-the reality of things at a distance that the human eye cannot see. Earlier today I received a message from Tatyana (Little Sonya’s Mom) regarding the latest on her little girls condition. Due to the generosity of a donor in the Ukraine, Tatyana was able to take Sonya to Germany this past April 27th for testing and possible treatment for her Portal Vein Thrombosis. “As you know, we arrived at the KUNO clinic (part of the University Hospital in Regensberg Germany) on April, 27th. I was so happy and my heart was full of hope. The investigations started with the ultrasound and Dr.Knoppke said that it looks like the left lobe of liver has blood perfusion, so it might be the left portal vein that is unclotted. I was so happy to hear that! On Tuesday she had MRI and also a gastroscopy. The doctors said that her varices look much better than a month ago and there is no danger of bleeding right now. The MRI was not really so informative so they needed to do CT with contrasting. The CT scan was done last Friday. Sonya had to be intubated twice, and under 3-hours general aesthesia, she received twice the high dose of X-ray radiation. After this entire ordeal doctor’s are still not sure how to proceed! Now they want to do an angiography, which is invasive. In order to do an angiogram doctors will open her femoral artery and use a catheter to proceed into the mesenteric artery. When in the artery they will release contrast to trace a path of where the blood is going. One cannot stress enough the danger involved in this type of procedure! I didn’t have the opportunity to talk to the surgeon personally, but our doctor said that he does not think that Rex-shunt is possible for my daughter, because she has only collateral vessels. I feel so disappointed now, I really don’t know what to do? I was reading your blog and almost made a decision to look for other surgeon who would say that the Rex-shunt IS POSSIBLE. Only the Rex-shunt is healing operation, other types of porto-systemic anatomises will only reduce the pressure in the portal system which causes bleedings. I do not only want her life to be saved, but I also want to save the quality of her future life. So now I want to have a discussion regarding this problem with Prof. Shlitt, and at that point I will have to make a decision to either sign or not sign an agreement to have the angiography. Also I want to get a second opinion as well. I have decided to make a short summary of her case and all the recent investigations and send that information to doctors in USA who perform the Rex-shunt operation in children. If even one of them will say ”yes, I’ll do that”, then we will come back home and do everything possible and impossible to receive a new visa, and to collect the needed funds. I’m ready to go to the happy end of the story, to overcome all of the trials on that way. I want to see Sophia happy and healthy, she is worthy of that. It’s with a sense of urgency today that I bring you the story of a little girl in Zaporozhye, Ukraine by the name of Sonya Danilenko (see below). 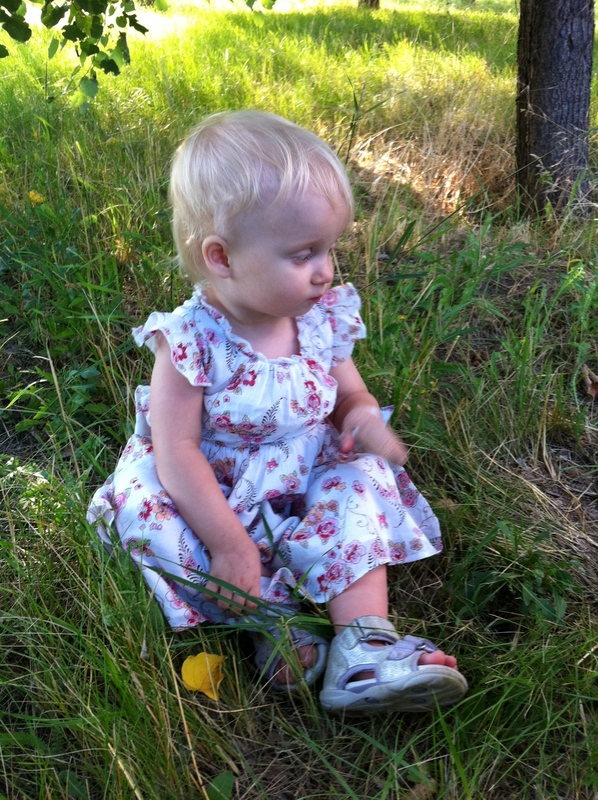 Sonya is only 14 month’s old and has been diagnosed with Portal Vein Thrombosis (PVT) and a heart defect called pulmonary stenosis. Her Mom Tatyana located this blog last week and was seeking to contact a doctor outside of the Ukraine who had previously performed the Rex Shunt procedure. Sonya was adopted in the Ukraine just over 4 months ago by the Danilenko family (see below), and oblivious to them at time of her adoption this condition revealed itself only a few months after (February) when she had serious bleed (see: esophogeal varices). Subsequently she has had 4 bleeds to date losing over half of her blood volume and she almost lost her life on March 31st. Added to the urgency of the situation, she has obstructive bronchitis with a breathing insufficiency. If she coughs it could open up another varice and her condition will decline even further. Tatyana is an emergency doctor herself, and her understanding of Sonya’s condition is excellent. Unfortunately no one in the Ukraine is able to perform the Rex Shunt procedure, however Tatyana was able to locate a doctor at the University of Regensburg, Germany by the name of Dr. Birgit Knoppke who may be able help her. Dr. Knoppke says that this kind of shunt is of course preferable, but can only be performed if the left branch of the portal vien in the left lobe of liver is not clotted. If they find the thrombosis in that left branch, as well as in the extra-hepatic part of the portal vien, that kind of shunt is impossible to perform and they will then consider a meso-caval or another kind of anastomosis. If those options are not feasible, she will be faced to endure encephalopathy with behavioral or mental problems with heart insufficiency and other future problems. So as you can see Sonya is a little girl who is very ill. Tatyana told me Sonya has to be stable before she is able to make the trip to Germany. As per an email Tatyana sent yesterday she relayed the following, “My privilege in this situation is first of all my faith in God, then a MD degree in medicine with the understanding of the problem and then no language barrier, I can discuss all of the details of treatment with doctor’s there”. Fortunately they have raised the necessary funds through the gifts of some generous donors, so that is one thing less to be concerned about. They are currently in the process of getting their passports and visas to make ready the trip. Will you also commit to pray for this little girl and her family? Specifically pray that Sonya will be stable enough to make the trip, and Dr. Knoppke in Germany will be able to intervene to save Sonya’s life. Pray for this family as they deal with this situation and that all the “hurdles” that may come their way before they leave will be taken away. I know they will be encouraged by your efforts in this regard. Their faith in the Lord Jesus Christ is sustaining them for most part, however one can’t deny the sense of concern they no doubt have at this time for this precious little gift from God. This entry was posted in portal hypertension, portal vein thrombosis, rex shunt procedure and tagged arterial embolization, portal hypertension, portal vein thrombosis, rex shunt procedure on April 14, 2011 by Clint. Clot Connect … Blood Clot Resource par excellence! Good News … A Clean Bill of Health for Janet! New medication may improve portal hypertension? What Exactly is Portal Hypertension? Legal Policy: This blog was created for the purpose of informing, connecting, and encouraging those with Portal Hypertension or Portal Vein Thrombosis and it's associated conditions. It is strongly suggested that no one shall take in whole or in part any portion or portions within this blog as a diagnosis for portal hypertension and it subsequent conditions, or it's treatments without first consulting a physician or health care practitioner.